A good sign catches people’s attention; a great sign actually gets these people to step into your restaurant and try your food. Here at Black Parrot Sign Studio, we don’t settle for just good restaurant signs…we design and deliver GREAT ones. Black Parrot Sign Studio wants your sign to be visible and visual, and we also want them to be that way for a long time! This is why we use durable materials to produce tough, weatherproof outdoor signage that stays attractive long-term. With artfully designed and carefully crafted indoor signs, Black Parrot Sign Studio helps your business achieve that polished, stylish look. 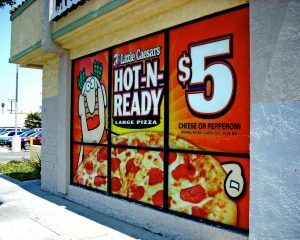 We create custom wall murals, standard or digital menu boards, wayfinding signs, and ADA signs that speak volumes about your service. Quality indoor signs give your customers the information they need and, with our expert designers, we’ll make sure we keep your brand identity cohesive. 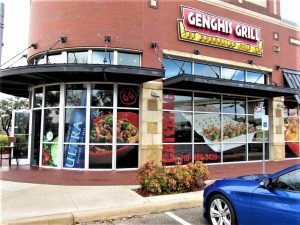 Promotional restaurant signs can be used both indoors and out, to not only drive traffic to your business, but to improve sales of seasonal items, specials, or promotions. 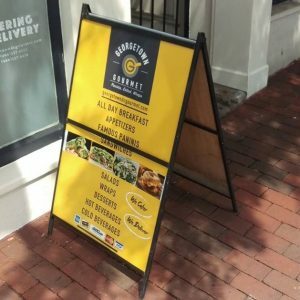 From window graphics, a-frame signs, and sidewalk signs to indoor banners, hanging signs, and daily special boards, Black Parrot Sign Studio creates every sign your restaurant could ever need. Black Parrot Sign Studio will work with you to create signs that are suitable for temporary or permanent promotions, allowing you to ensure your signage is always up to date. With fast turnaround and budget-friendly pricing, we look forward to delivering for you. 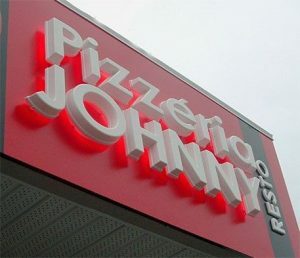 With a strong team of signage specialists, Black Parrot Sign Studio is fully equipped to learn about your brand to create attractive restaurant signs that complement it. Regardlesss of the complexity of your project, or the number of signs you need produced, we are dedicated to delivering high-quality signs and graphics on-time and within budget. When you need effective signage, you can depend on Black Parrot Sign Studio.